Spectre is a new specialized camera app from the team that created Halide, one of our favorite camera apps on iOS. 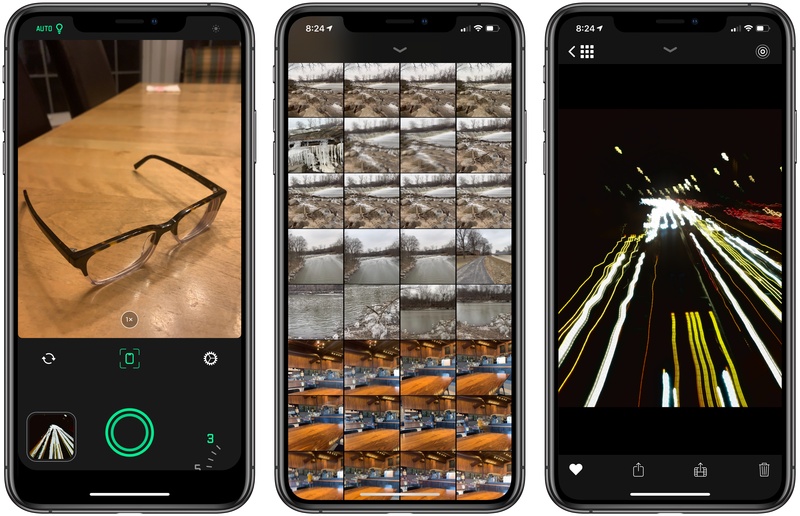 The Halide team describes Spectre as a computational shutter for the iPhone, which allows the app to do things like remove people from a crowded scene, create artistic images of rushing water, and produce light trails at night. The same sort of images can be created using traditional cameras, but getting the exposure right, holding the camera absolutely still, and accounting for other factors make them difficult to get right. With Spectre, artificial intelligence is used to simplify the process and make long-exposure photography accessible to anyone with an iPhone. Obscura 2.0 was one of our favorite iOS app updates of 2018, which garnered it a MacStories Selects Best App Update Runner-Up award. 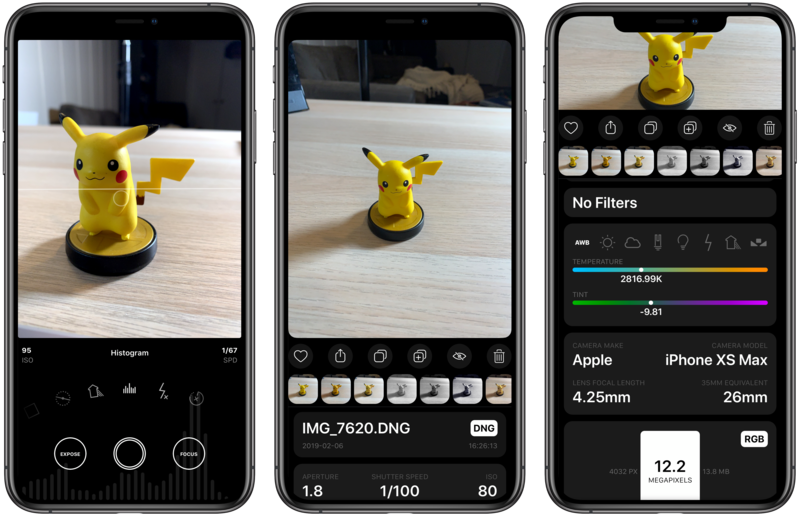 Since it was released eight months ago, developer Ben McCarthy has continued to refine the app and add new features such as iPad support, new editing controls, localizations, and a Photos extension. 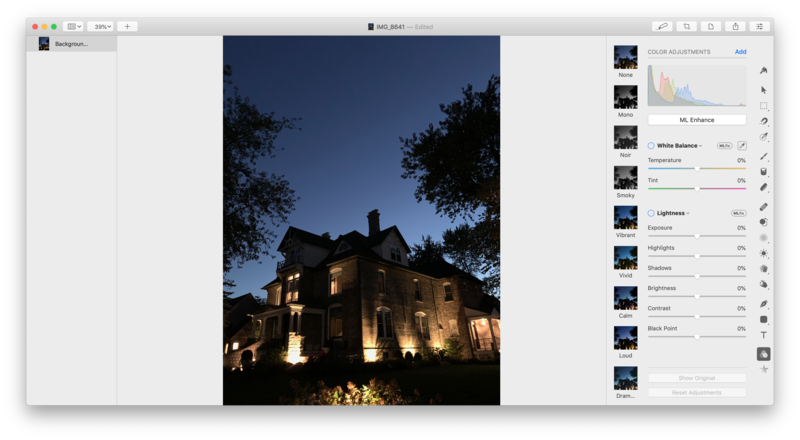 With the latest update out today, Obscura has added a histogram visualizer, a redesigned image viewer, iPad keyboard shortcuts, and more. A panel of judges will review worldwide submissions and select 10 winning photos, to be announced in February. The winning photos will be featured on billboards in select cities, Apple retail stores and online. Apple’s announcement also introduces the contest’s 11 judges, 6 of whom are from Apple and 5 of whom are outsiders with backgrounds in photography. The Apple team includes Phil Schiller, members of his marketing team, and others who work on Apple’s photo software. The rest of the judges include former White House photographer Pete Souza, travel photographer Austin Mann, who we recently interviewed for Club MacStories, Annet de Graaf, a travel photographer and author of iPhone photography books, Luisa Dörr who shot TIME magazine’s special Firsts issue entirely on an iPhone, and Chen Man, a visual artist and creator of photography-based social apps. Post your best photo taken on iPhone to Instagram or Twitter with the #ShotOniPhone hashtag to participate in the the Shot on iPhone Challenge. Weibo users can participate as well using #ShotOniPhone#. In the image caption, note which model was used. Alternatively, you can also submit the photo in its highest resolution to shotoniphone@apple.com with the file format ‘firstname_lastname_iphonemodel.’ Photos can be straight from the camera, edited through Apple’s editing tools in the Photos app or with third-party software. Submissions for photos begins at 12:01 a.m. PST on January 22 and ends at 11:59 p.m. PST on February 7. You must be 18 years of age or older to participate, and this challenge is not open to Apple employees or their immediate families. I’ve always enjoyed Apple’s Shot on iPhone ad campaigns. It will be fun to see which shots its judges pick from what I can only imagine will be a huge number of submissions. 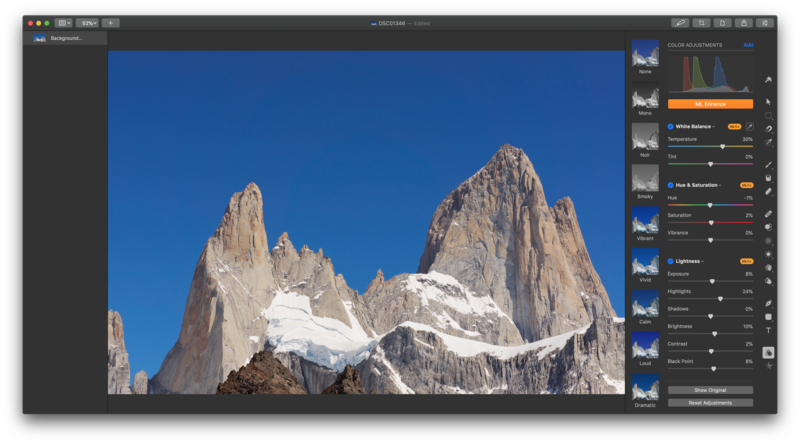 Pixelmator Pro for the Mac was updated to version 1.2 today with a handful of enhancements centered around macOS Mojave. The update includes light and dark modes, which can be set in Preferences to follow the mode picked in System Preferences or full-time light or dark mode. Dark mode closely resembles Pixelmator Pro’s existing UI, but its light mode is brand-new. Pixelmator Pro's new light mode. Pixelmator Pro 1.2 has also added a new auto-enhance feature for images that applies machine learning to automatically adjust white balance, exposure, hue and saturation, lightness, color balance, and selective color. Previously auto-enhancement was available individually for some of the categories in Pixelmator’s Adjust Colors tab. 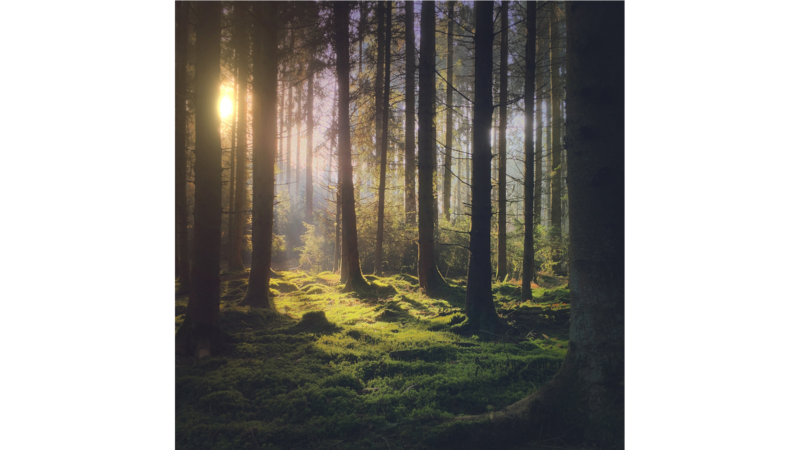 The new ML Enhance feature, which the Pixelmator team says was trained with millions of professional photos, adjusts all of the categories listed above at once. If you don’t like the results, the adjustments can be turned off on a per category basis or adjusted manually. 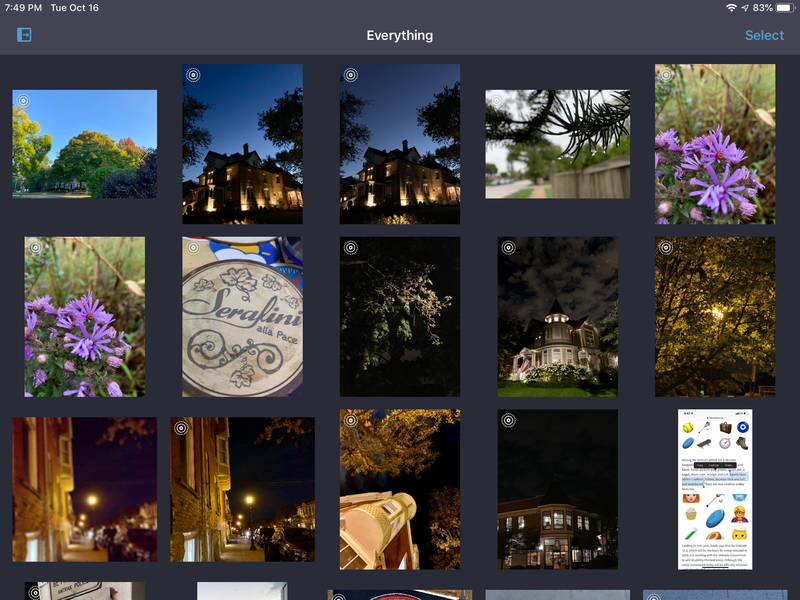 BestPhotos, a photo management app from Chicago-based Windy Software that we’ve covered on Club MacStories before, was updated today with new features for quickly and efficiently organizing your photos. I take thousands of pictures each year and sometimes it feels like I take even more screenshots. Sifting through to find the best shots and discard old screenshots, duplicates, and just plain bad photos takes a lot of tapping and time in Apple’s Photos app. BestPhotos is a better solution that streamlines the whole process. Earlier this year Adobe confirmed that it was working on a full-featured version of Photoshop for the iPad, but no real details on the product were given. Today that changed, however, as the app's official announcement arrived alongside the kickoff of Adobe's MAX conference. Photoshop for iPad won't arrive until some time in 2019, but when it does launch it will differ drastically from Adobe's current lineup of Photoshop-related iOS apps. Rather than focusing on an individual subset of desktop features, like Adobe's existing Photoshop Fix, Express, and Mix do, the aim with this forthcoming app is to provide the full desktop Photoshop experience on an iPad. "Cloud PSDs, when we ship Photoshop on the iPad, will also run and automatically show up on your desktop...Suddenly, you’ll have this cloud-powered roundtrip experience akin to a Google Docs experience, where literally the source of truth of your Photoshop creation is in the cloud." Cloud PSDs will eliminate the need for importing or exporting files, removing a major friction point that currently stands in the way of working with Adobe's apps on the iPad. With Creative Cloud's automatic syncing of all files, you should be able to pick up editing on any device at any time without needing to do a thing. When manual importing or exporting does make sense to your workflow, those options will still be available in Photoshop for iPad. The app will support file providers like iCloud Drive, Dropbox, and more. Based on the preview version of the app, it appears to support Files.app's document providers, and I'm hopeful that iOS 11's drag and drop features will be supported as another option for importing and exporting. The Verge was granted a week of hands-on time with Photoshop for iPad, and has a great video that demonstrates the app in action. It appears very similar to Photoshop on desktop, with some adaptations made for OS differences like iOS's lack of a menu bar. There are sure to be touch-optimized improvements offered too though, such as a gesture the video highlights where you can tap with two fingers on the screen to undo. Though Adobe's goal is full feature parity between desktop and iPad versions of Photoshop, the 1.0 release of Photoshop on iPad will lack certain features that will be added over time with future updates. That full list of missing features is unavailable at this time, but we're sure to learn more as the launch approaches. 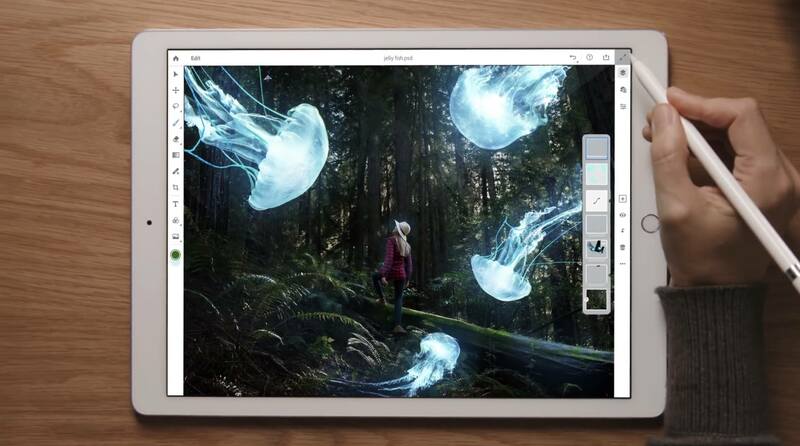 Photoshop for iPad will be available free to all Creative Cloud subscribers, but there's no word currently on whether a standalone purchase or iPad-only subscription will be possible. It would be a strong vote of confidence in iPad-first users to make the app available for non-CC subscribers, but based on Adobe's history that appears unlikely. Today's announcement highlights what an exciting time it is to be an iPad user. With new iPad Pro models expected to be announced in the coming weeks, and a reported focus on significant iPad features coming in iOS 13, there's no time like the present for the full power of Photoshop to make its way to Apple's tablet. I'm in the process of creating a complete archive of every workflow I ever created for the Workflow app and updating each one for Shortcuts. As I was browsing through my old Workflow articles, I came across an interesting workflow I created in early 2015 called Photo Flashbacks. The main idea was simple enough: given Workflow's ability to read the contents of the photo library, the workflow would filter a photo taken on the same day in previous years and preview it with Quick Look. That seemed like a fun project that I could pick up again and improve for the Shortcuts app. For years, iLife defined the Mac experience, or at the very least, its marketing. An iMac or MacBook wasn't a mere computer; it was a tool for enjoying your music, managing your photos, creating your own songs, editing your home videos, and more. Of course, not everyone's needs were met by the iLife applications. iMovie users could upgrade to Final Cut, while Logic was there waiting for GarageBand users. 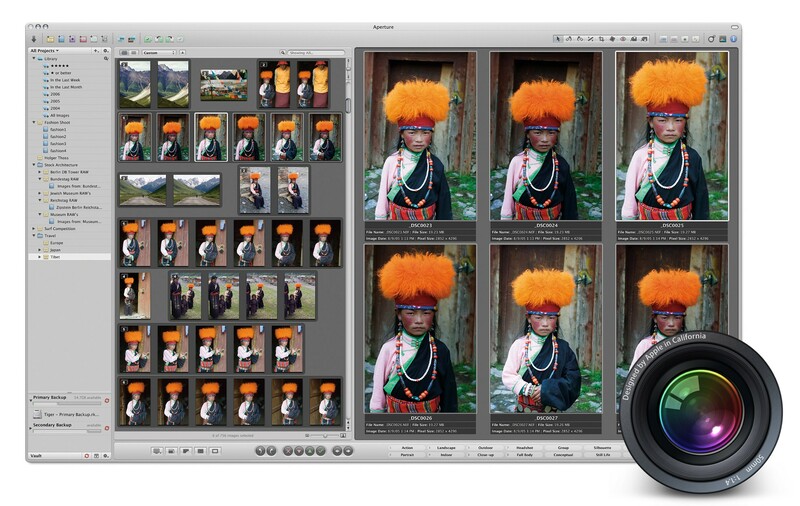 And for those needing more than what iPhoto could provide, Apple offered Aperture. Now, when you plug in Apple’s SD card to Lightning adapter (or camera connection kit), the Photos app will show up as an overlay on whatever app you’re using. This comes as a much less invasive method than previously used in iOS 11, wherein whatever app you were in would be switched over to the full-screen Photos app for importing. It also means you can multitask more efficiently, importing photos while getting other stuff done. Now, when photos are detected on a card, iOS 12 will automatically sort through the content and determine if any of the photos have already been imported. If they have, they will be put in a separate area so you don’t accidentally import duplicates. Another new feature is a counter on the top of the screen that lasts you know how many photos are being displayed and how much space they take up on the memory card. This should help alleviate the guesswork involved when trying to determine whether or not you have enough storage on your iOS device. I've never imported photos on my iPad using the Lightning to SD Card Camera Reader because I don't have a camera, but I know that the import process is one of the pain points for photographers who want to use an iPad in their workflows. The idea of having Photos show up automatically in Slide Over upon connecting an external device is interesting; it perfectly ties into the iPad's focus on drag and drop for multitasking and file transfers. It seems like this approach would work nicely for importing files from external USB devices if only Apple decided to add support for those too. Update: After looking into this more closely, it appears that Photos only appears automatically upon connecting an SD card if it's already in Slide Over mode. This isn't as convenient as DP Review's original report, but at least all the other improvements mentioned in the story are indeed part of iOS 12.